Trinity College 14K Gold Cufflinks by M.LaHart & Co.
We have many NCAA and college products that are a perfect gift for passionate fans. 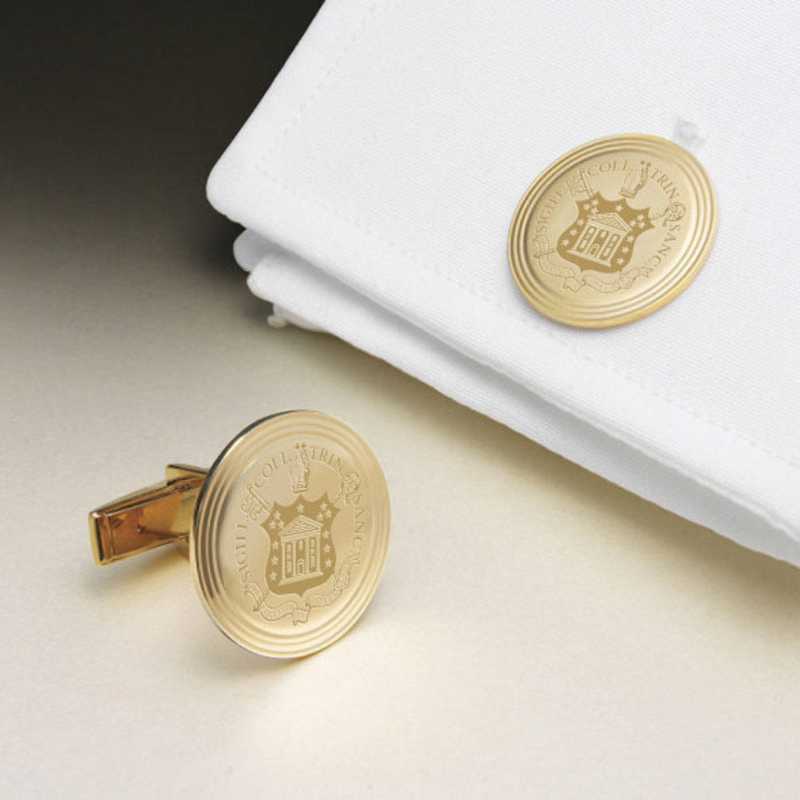 Trinity College 14 karat gold cufflinks are elegantly and richly detailed with the Trinity logo, making an ideal custom gift., Disc measures 1/2" in diameter., Solid 14 karat gold., High polish, rich luster finish., Exclusive to M. LaHart., Attractive M. LaHart signature jewelry pouch with gift box., Officially licensed by Trinity College.Manufacturer direct from a trusted supplier. You're reviewing:Trinity College 14K Gold Cufflinks by M.LaHart & Co.